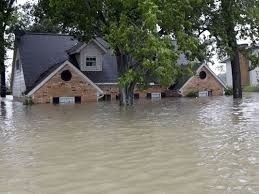 Did you know that many homes in the Unites States are not covered for one of the most common natural disasters – Flood? Think about all the personal items that sit on or near your ground floor (or in your garage). Even if your home only floods an inch there could be more damage than you may realize. Contrary to what many homeowners believe, the typical homeowners policy excludes coverage for flood losses. Flood claims are covered by a separate insurance policy provided by an insurer participating in the National Flood Insurance Program. Between the massive hurricanes we have recently experienced in the U.S. to wild fires that destroyed miles of land and property, 2017 will go down in the record books for being an exceptionally bad year for natural disasters. While these large-scale events damage a lot of property at once, your home can flood with a broken pipe that happens out of the blue. I recently spoke with independent insurance agents, Mindy Cagan-Joslin and Claire Gyben of Ranch and Coast Insurance Services to get some tips from them on what to do to protect your property. As we all know, flood is an unavoidable natural disaster and we have all recently witnessed how destructive water can be. Have you ever carried a 5-gallon bucket of water? It is surprisingly heavy – approximately nine trillion gallons of water fell on the Houston area because of Hurricane Harvey. Here in San Diego, we may not get hurricanes, but we do have parts of the county that are prone to flooding, like Mission Valley. - If you have a flood policy, contact your insurance agent as soon as you are able. If you haven’t already, put their direct phone number and email in your phone. If you are forced to be away from your home for an extended period of time, you can initiate the claims process prior to being able to return home. - *Safety First* – If the power was not turned off properly prior to flooding be sure to have a qualified technician determine your home is safe to return to. - Act quickly – mold can develop within 24-48 hours. Be sure to wear protective gear if entering water or touching wet materials; even if the water in your home is clear it may be contaminated. - Photograph everything - flood policy holders - once given the “OK” by your agent to begin removing any wet contents from your home, be sure to photograph anything that is removed. You may also visit the National Flood Insurance Program’s web site for their recommended step by step process: https://www.fema.gov/disaster-support-resources-post-disaster. Prior to a disaster, there are some critical things you can do to help make your life easier and your recovery go smoother if you do have an event occur. In the case of a natural disaster you may get evacuated without much notice so having an emergency box ready to go with medication, water, food and important documents and photos that you can just grab on the way out along with your computer or back up storage drives will help relieve your stress and ensure you have your important items that anyone in the family could grab in case of a quick evacuation. It is also a good idea to photograph, or even better, video tape the rooms in your home on a regular basis to document what you own and perhaps recent upgrades you have done to your kitchen or bathrooms. If you photograph your rooms, include your pantry, closest, garage and sheds it will allow you to document items you may have lost in a fire or was damaged in a flood. If you store important documents on your computer as well as an on-line storage location this will also allow you to access these critical documents in the time of an emergency in the case you loose your computer or you don’t have access to it. 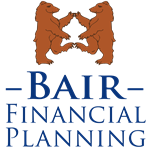 For clients of Bair Financial Planning we have a secure on-line vault that you have access to. If you are not familiar with this, or need your login information again feel free to contact us and we can assist you with setting this up. Bair Financial Planning, WCG Wealth Advisors, and LPL Financial are not affiliated with Coast Insurance Services. This material contains only general descriptions and is not a solicitation to sell any insurance product or security, nor its it intended as any financial or tax advice. For information about specific insurance needs or situations, contact your insurance agent. In addition, state insurance laws and insurance underwriting rules may affect available coverage and its costs. Gurantees are based on the claims paying ability of the issuing company.